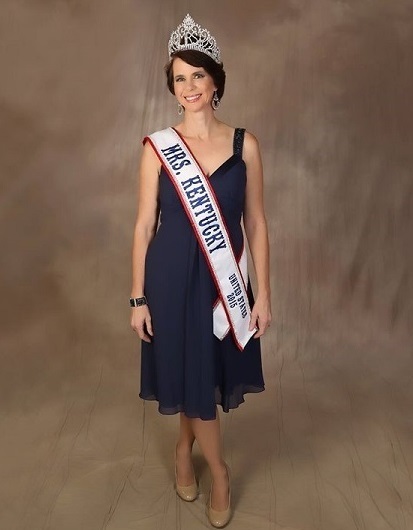 Civil Air Patrol Maj. Jaimie L Henson will represent Kentucky in this July’s Mrs. United States National Pageant. Courtesy of Jaimie L Henson. Civil Air Patrol Maj. Jaimie L Henson entered the Mrs. United States National Pageant on a whim, hoping it would give her a platform to tell people about the Civil Air Patrol and the benefits of volunteerism. So Henson was “quite surprised” to learn that she will represent her state as Mrs. Kentucky in this July’s pageant. Henson is responsible for character development instruction for 25,000 high school-age cadets in the Civil Air Patrol. She is also a volunteer with Bugles Across America, playing taps at military funerals. 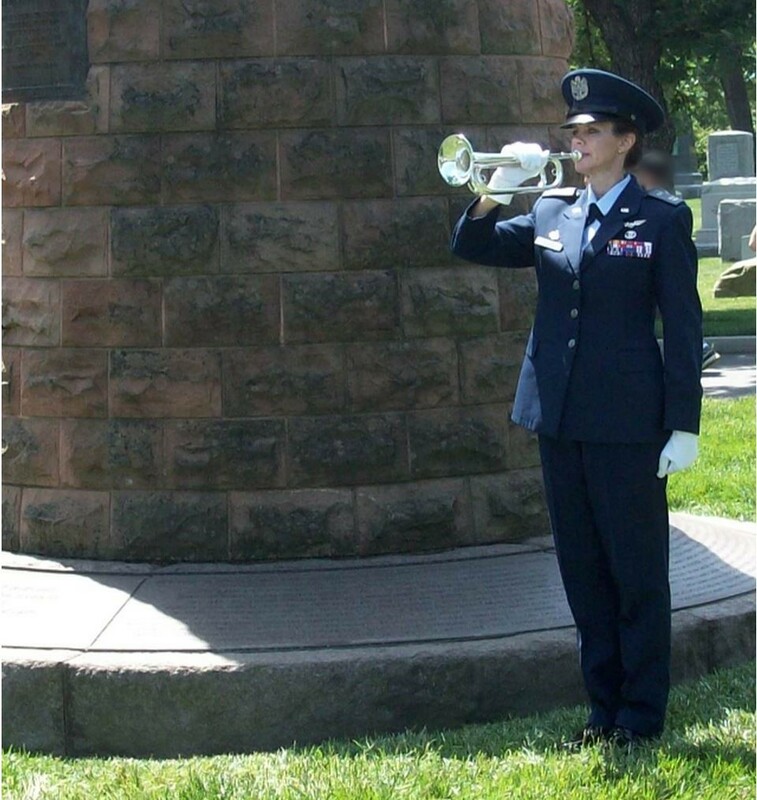 Civil Air Patrol Maj. Jaimie L Henson plays taps at military funerals as a volunteer with Bugles Across America. Courtesy of Jaimie L Henson. Service runs in Henson’s family. Her son Senior Airman Jaric Henson, serves in the 78th Security Forces Squadron at Robins Air Force Base, Ga. Both her husband Richard and daughter Tel are Navy veterans, and her first husband, Timothy E. Langley., was killed while serving as a police officer in Hollywood, Fla. Between now and the pageant, Henson will speak to schoolchildren about how they can improve their local communities, she said.